For its exemplary record of leadership, service and activities that serve to improve Durango HS and the Durango community, the Durango HS student leadership program has been awarded a 2018 National Gold Council of Excellence Award by the National Association of Student Councils. This is the ninth consecutive year that the Durango HS program has been recognized as a Gold Council of Excellence. Let us help you find the perfect candidate for your job, internship or volunteer opportunity! 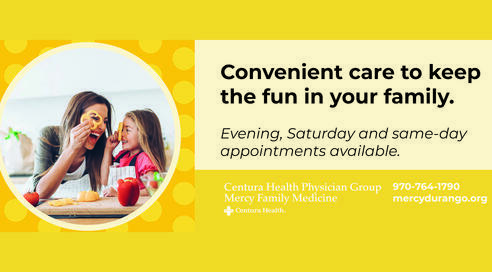 Click "Read More" for all the details. Durango High School has earned the first College Board AP® Computer Science Female Diversity Award for achieving high female representation in AP Computer Science Principles. Schools honored with the AP Computer Science Female Diversity Award have expanded girls’ access in AP Computer Science courses. 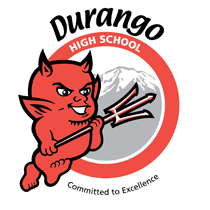 Out of more than 18,000 secondary schools worldwide that offer AP courses, Durango High School is one of only 685 to accomplish this. The DHS Jazz Ensemble, for the first time ever, took 1st place at the FLC Jazz Festival. With over 20 competing bands from all over the 4 corners. They were the top scoring group of the day and had the privileged to open the concert with the world renowned jazz musician, Delfeayo Marsalis (the brother of Wynton Marsalis). They received a standing ovation at the end. GO DHS JAZZERS!!! We will increase student achievement, while closing the achievement gaps, to become the top public high school in the state.